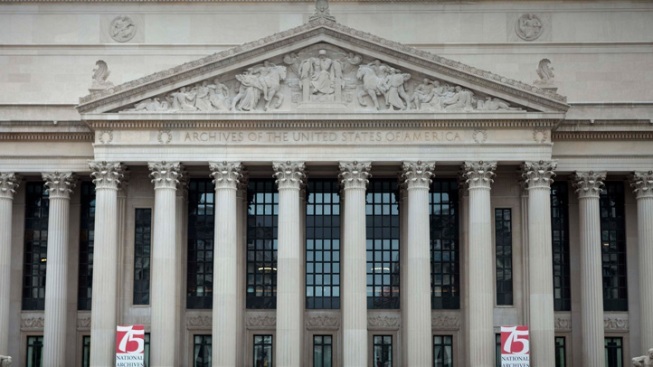 A former National Archives employee pleaded guilty to stealing and selling recordings donated to the archives. Leslie Charles Waffen, 66, worked at the National Archives and Records Administration for 40 years, most recently at the College Park, Maryland, location. According to prosecutors, Waffen acknowledged stealing at least 955 "sound recording items," which were seized from his Rockville, Md., home in October 2010. The items were worth $30,000 to $70,000, prosecutors said, and were sold between at least Aug. 2, 2001, and Oct. 26, 2010. The items included an original master copy of a 1937 sound recording of baseball legend Babe Ruth on a hunting trip. Authorities said Waffen sold it on eBay for $34.74. Law enforcement agents recovered the recording from the buyer. Waffen faces a maximum penalty of 10 years in prison. He'll be sentenced March 5, 2012.